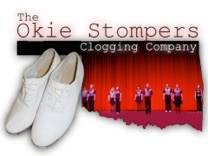 The Okie Stompers, The Okie Steppers (ages 6-12) and Adrenaline (teens and young adults) are based in Norman, OK and our members are from all across the Oklahoma City metro area and beyond. 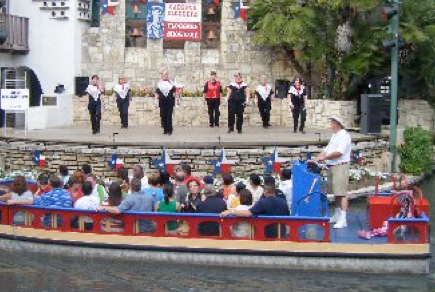 All three groups are invited to dance every May in San Antonio on the Riverwalk Stage at the Cloggers Showcase; we have opened twice in Branson, MO for "Country Tonite"; July 4, 2002 we joined thousands of cloggers from all across America in Washington DC to dance in the Independence Day Parade and performed in front of Senators, Congressmen and other DC dignitaries, and then individual groups performed in front of the Lincoln Memorial; The Cowboy Western Heritage Museum in Oklahoma City is one of our favorite places to perform. The Okie Stompers have been consistent at bringing home many 1st and 2nd place medals at the competitions which they attend. Our main goal is to have a good time and we have a wonderful group of cloggers that are determined to do just that. We are a Christian group that always says a group prayer before performances. Yearly we perform in Oklahoma at the: Festival of the Arts (OKC); 89er Day Parade and Bluegrass Festival; The Oklahoma State Fair; Mayfair in Norman; and many other annual events plus conventions and other group gatherings. Every year we have our Halloween party and performance at Riverwalk Assisted Living Center and our Christmas party at Rambling Oaks Assisted Living Center and the residents of these groups look forward to watching us and sharing our activities. This year we are looking forward to adding the Watermelon Festival in Rush Springs. 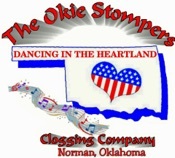 We do have cloggers who come to classes, and don't perform, they just want to dance for the exercise and camaraderie; however, the greater percentage of The Okie Stompers do perform. We just encourage everyone to have fun and enjoy a great time! This website is a free gift from iClog. 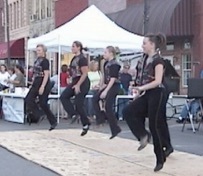 If you would like a free one page website for your clogging group, e-mail us!